Winter is all in its beauty with sparkling snow fields and woodlands covered with snow and those adorable forest creatures !!!! Ah !!! the natural surroundings in a countryside in the snowy winter months looks awesome. To capture that look I have a Step card with sparkling snow land amidst the woodlands and that country scene , all together in one card, actually made possible because of the amazing Christmas collection found at the CottageCutz Store. Here is my card and all the close up pictures. 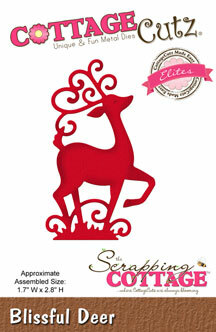 Its a very simple card and I have added a sparkling dust powder on the die cuts to create that shimmery look. 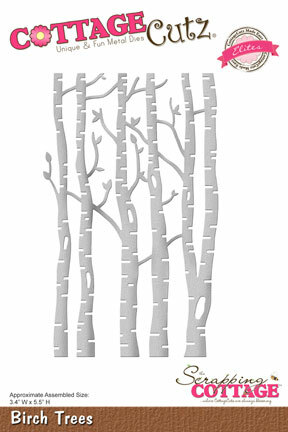 Cut all the die cuts from CottageCutz dies in white card stock. For the card base, cut a piece in white measuring 6 Inches by 12 inches. Score at 1", 2" 4" and 6". Fold along the score lines to make a step card. 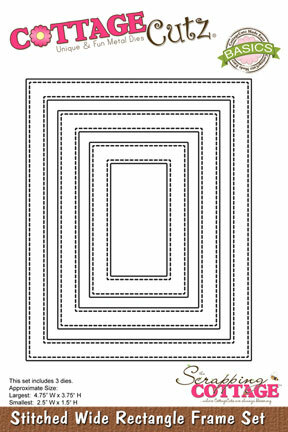 Create three panels for each step that have a wavy top edge. Distress wit Tumbled Glass Distress ink and apply clear glue. Add the sparkling dust powder and remove the excess. This will create the snowy ground. Adhere these panels on each step. 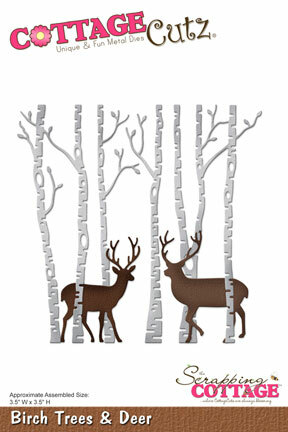 For the last panel, Add a frame from Stitched Wide rectangle frame die and top of it adhere the die cuts as shown to create a snowy woodland scene. On each step, add the die cuts to build up the scene. 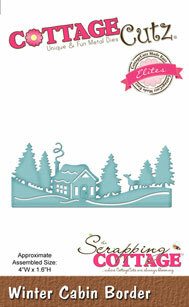 Add a sentiment on top to finish the card. I hope you liked this sparkling winter card. Have a great and fun filled Christmas !!! Beautiful winter scene on this card, Anita! So beautiful! I just love the white on white layers. Wow, love all the details of your card it is stunning!